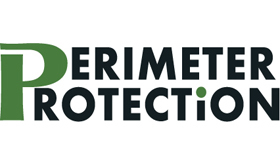 At the Perimeter Protection 2018, international exhibition for perimeter protection, fencing and building security, which takes place from 16th – 18th January 2018 in the Nuremberg Exhibition Center, Perimeter Protection Germany GmbH will be presenting its trend-setting product innovations for an effective outdoor protection. The focus is on certified High Security products such as crash bollards and gates. In order to respond better to the rapidly increasing security needs of inner-city areas or areas with high visitor flows such as football stadiums, PPG has expanded its portfolio with cost-effective, decorative crash bollards with particularly shallow foundations and presents them to visitors. CARSTOPPER 30, TRUCKSTOPPER 6-30 and TRUCKSTOPPER 7-40 are ideally suited for the protection of inner-city areas. Its slim design, combined with revolutionary spring-loaded technology and a shallow foundation depth of only 200mm reduces the need to re-divert utilities, making it predestined where space is limited. The systems are the most economical on the market and very aesthetically pleasing. These bollards are compact and easy to install. Their system is designed to follow the contours of the ground and can go around corners. If the posts get damaged during an attack they can be removed from the slipper box and replaced without the need to replace the concrete foundation. Once fitted the only maintenance is to repaint when needed or the bollard can be covered with a mild or stainless-steel shroud. Furthermore, the bollards can be hidden in modern street furniture, for example bicycle racks, flower boxes and more. One of the latest developments in the Access Control area, which PPG will have on show, is the latest expansion of their steel sliding gate product line that the company is manufacturing at its site in Germany. The new sliding gate convinces with a high operation speed, freedom from distortion due to minimised heat input in the manufacturing process, radio-controlled contact strips and variable gate infill! In addition, PPG offers one of the most modern and efficient controls on the market. 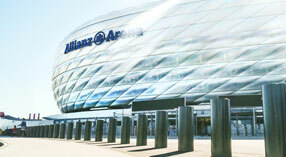 Furthermore, PPG informs about its own coating process TRI-PROTECT®. As long-term load tests with approx. 2000 h in the salt spray mist without loss of the surface protection according to DIN 50021 clearly proves, that there is no infiltration of the coating with TRI-PROTECT®! Without maintenance, it can only lead to a standard-compliant formation of red rust. In this case, surface damage can be touched up without great effort to avoid this. Also in terms of environmental compatibility, the VOC-compliant, solvent-free application achieves plus points. Compared to competition, TRI-PROTECT® is the most ecological method because there is no use of zinc. In addition, the process convinces due to its lower energy requirements. The PPG team looks forward to seeing you at their booth no. 416 in hall 12 and will be happy to provide you with a free visitor voucher in advance if you are interested.